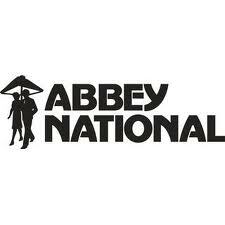 Abbey National, the former UK building society is now part of the giant Spanish Santander bank. Part of the legacy of the Abbey is this perpetual corporate bond with a coupon of just over 7%. Over the last year (to January 2012) the mid-point price (the average of the buy and sell prices) of this bond has drifted down from around 90p to around 70p, with a current wide spread of around 20p. However, the fall in price means that the income yield is now nearly 10% - an enormous yield, and one which should inspire caution. Is this a good buy or a trap for the greedy? The details of the security (7.037% Step-up Callable Perpetual Reserve Capital Instruments) are given here. It is a Tier 1 security, meaning that ranks below Tier 2 and senior debt, although above ordinary shareholders. The coupon is payable up to 2026, when a new coupon rate will be set, based on prevailing gilt (UK government bond) rates plus 3.75%. The principal is also redeemable thereafter - but only at the option of the issuer. Any deferred payment will benefit from a 2% interest rate. Perpetual bonds are a bit unusual - there is no maturity date, so it is very much a 'buy and hold' purchase. The fixed coupon and lack of redemption mean that this security is particularly sensitive to general interest rates (which are low) and inflation expectations (which are high-ish and uncertain). The reason for the fall in price and the wide spread are almost certainly related to the turmoil in the Euro area and Spain's generally poor financial situation. If Spain goes belly-up, so will Santander and - the suspicion is - so will Santander UK. Santander UK plc is one of the UK's leading personal financial services companies and one of the largest providers of mortgages and savings in the UK. It is a subsidiary of Banco Santander, S.A. which is authorised by the Bank of Spain and is 'subject to limited regulation by the Financial Services Authority'. To quote the latest Santander statement:"At the close of December 2010, Santander was the largest bank in the euro zone by market capitalisation and, in 2007 to 2010, the third in the world by profit. Founded in 1857, at the end of 2010, Santander had EUR 1,362 billion in managed funds, more than 95 million customers,14,082 branches – more than any other international bank – and over 178,000 employees. It is the largest financial group in Spain and Latin America, with leading positions in the United Kingdom and Portugal and a broad presence in Europe through its Santander Consumer Finance arm." In addition, Abbey National Treasury Services plc is an FSA regulated covered bond issuer. Now this may not apply to this particular security but clearly Abbey National is being watched closely on the bond side, which is nice. So if the bank is so big and successful, why is the yield so high? It probably comes down to a market view on Spain's economy, the impact of this on Santander and the liklihood that the Spanish government could 'rescue' Santander, if needed. So, a bit of a gamble - but as part of a diversified corporate bond portfolio, it should be OK.
Santander is an interesting bank if it can get through the current turmoil, as it has a lot of exposure to fast-growing South American markets. From what you've said here, I'd consider the risk/reward on this bond to be worth investigating further for a long-term ISA holding, except for the spread. I wonder how easy it is to deal within it? I believe this is a perpetual subordinated bond of a privatised building society and is essentially a dividend paying tier 1 equity instrument. It is not a "bond" under the commonly held definition, hence the yield is similar to the SAN preferred shares. If the parent Banco Santander ends up needing state support from a central bank (very likely), then the previous EU precedent is that all payments of dividends (this includes PIBs, perp sub bonds and ordinary shares) will be legally prohibited. There are much safer issues from other companies yielding 7-8%, the premium is not worth the risk of missed coupons and possibly a haircut.